Stirling Council is calling on local residents to get themselves ready for winter before severe weather strikes. The Council is already well under way with its own preparations with 7,000 tonnes of salt in stock. This will be used to treat Stirling’s road network’s priority areas during severe weather, with the remainder of the roads being treated as the weather conditions and capacity dictate. The responsive service will operate for 25 weeks until mid-April. In addition, the Council teams will once again be out in force in mini-tractors enabling them to treat the footpath network in a more efficient manner, and operate for far longer periods without ongoing maintenance. The Council also provides local residents with 475 salt bins at various locations of identified difficulty throughout the Council area. These will be replenished during or following spells of adverse weather conditions. Residents can get ready for winter by checking the Council website to identify where their nearest grit bin is, and see if their street is likely to receive regular gritting so they know what to expect (http://my.stirling.gov.uk/gritters). There is also a ‘Live Gritters Map’ which shows where each gritter vehicle is in the area. 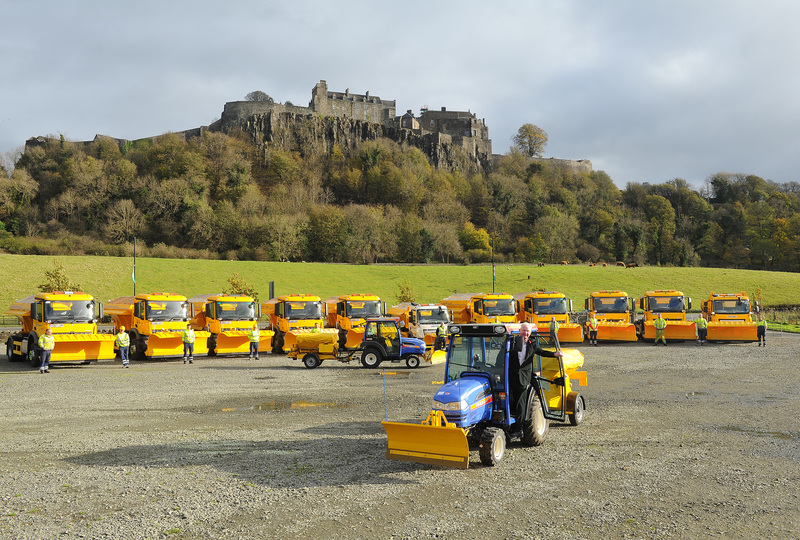 Stirling Council’s Environment Convenor Jim Thomson said, “We can’t control the weather but Stirling Council is well prepared to respond to it and keep our roads and residents moving as much as possible. As well as the roads, we have plans in place relating to our footpath network that will allow us to prioritise which routes receive the appropriate treatment during adverse weather. “Our teams use the latest weather forecast technology to monitor conditions and respond 24 hours a day throughout the winter period. We’ll also be posting any information about disruptions to travel and bin collections on our website and social media channels so I’d ask residents to join myStirling or like and follow our Facebook and Twitter accounts. Trunk roads and motorways which run through the Council area are treated by both BEAR Scotland and AMEY. Community councils and local volunteers also play an important role in the Council’s winter response. Many have already prepared their own winter resilience plans and Stirling Council has issued Community Councils with snow shovels and safety vests so local volunteers can take action to help vulnerable neighbours and other residents if conditions become severe. • If you are able, try to clear your own path and pavement in front of your home – or any other building you are responsible for – before the snow can become hard-packed ice, and be aware of where you pile it so it doesn’t block someone else’s property. • It’s not just grit that can prevent ice forming – ordinary table salt, dishwasher salt, sand or ash will work too. • Never use hot water to clear ice – the ice will melt at first but if it turns into black ice it can cause a bigger hazard. • Don’t take unnecessary risks on the road – ice and snow makes it difficult to brake quickly, and wear visible clothes with suitable shoes or boots if you’re walking. 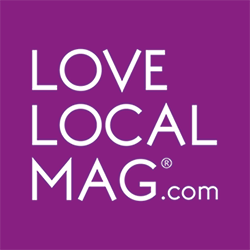 • Check Stirling Council’s website – www.stirling.gov.uk – and social media channels – @StirlingCouncil or facebook.com/StirlingCouncil – regularly for the latest news about any disruptions to service. • Keep wheelie bins off the road so they’re out of the way of snow ploughs and, if possible, move your bin or recycling box as close as you can to a cleared road for collection – but only if you can do this safely. • Please be aware that in poor conditions our bin and waste collection service will slow down – we will be aware of the homes that have been missed and will endeavour to collect them as soon as possible. Please be patient and only call our Contact Centre if your bin really has been missed out. • Be neighbourly by checking on older or vulnerable neighbours and helping less able neighbours to clear their paths – if you are worried about someone’s welfare, please don’t hesitate to call the Contact Centre on 0845 277 7000 or 01786 404040.